The true leader Nigeria desires today must be knowledgeable in technological trends and how they shape societal growth and transformation. Any aspirant to the nation’s presidency must be a vibrant, intelligent and technologically-driven individual with strong entrepreneurial flair. But the aspirant must be abreast of the social, economic and political challenges facing the country today and must have ready-made proposals in the form of a manifesto to counter these challenges. Yes there are very few patriotic Nigerians that fit into the nation’s ideal leader possessing the qualities enumerated earlier. At this critical stage in the nation’s march to another transition there is need for Nigerians to start preparation for a new dream, the country’s great renaissance project where each citizen will transparently measure the government of the nation in four key metrics namely: securities of lives and properties, better education, better and standard healthcare facilities, fighting corruption and well manage economic growth. Nigerians want to have a leader at all levels of governance that will secure people and provide opportunities for them to realize their full potential, a leader that will strengthen Nigeria’s unity by promoting the spirit of co-operation and consensus especially in a society that is as complex and as heterogeneous as Nigeria and ensures the building of a strong, resilient and prosperous economy; a leader that will establish a strong and effective democratic government that will secure Nigerians’ lives and properties. Today the criteria for choosing leaders will be worth the choice of the people as the calamity of having the mantle of authority in the hands of those who may not represent the interests of the citizens. The task of choosing leaders had been reserved for the gods or divine consultations in view of the need to have the right head for the cap of leadership which guarantees the galvanization of public resources for the common good and use of the collective beings within a geographical entity to achieve these. Caps are seen as symbols of authority of any sort, according to the demand of such society, and may be sizeable to the heads of many but only fit one head per time. The tragedy of having the mantle of authority in the hands of those who may not represent the interests of the citizens is better imagined than experienced. Today the criteria for choosing leaders will be worth the choice of the people when they get into power have been reduced to a meticulous assessment of the fruits of antecedents of such as we are now experiencing. 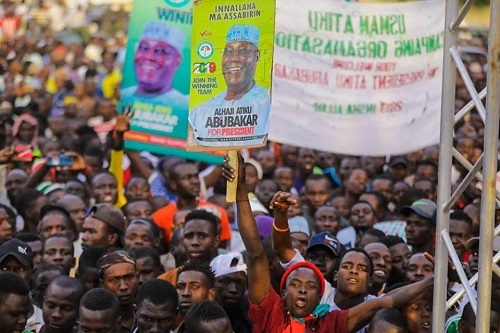 During the 2015 campaigns, the term ‘change’ was the in-thing; Nigerians assumed that President Buhari already had a lot of plans in place to provoke this change before embarking on such a campaign. But it took the president six months to formally appoint a cabinet and even with it in place the administration kept on giving excuses for its inability to effect the desired change; after some time Nigerians were tired of excuses and became disenchanted. The people’s expectation for pragmatic change in every aspect of national life was quite high and Nigerians failed to see changes promised to them by PMB and all became disillusioned. One of the reasons Nigerians voted for PMB’s administration was to sanitize the system and put an end to things like secretive employment, corruption and nepotism but unfortunately, things like this have continued to happen under his watch at an alarming rate, the most painful part his continued silence. Unfortunately the PMB administration is characterized with a high level of preferential treatment at the detriment of the Nigerian masses that sacrificed a lot and spent hours under the sun to vote for you. Nigerians expected the Buhari government to provide urgent solutions to some of the myriad challenges facing the nation and its citizens. But the nation’s economy and wellbeing of Nigerians suffer most because the economy has gone from modest growth to its first recession in 25 years, putting the nation’s goal of becoming one of the world’s 20 largest economies by 2020 virtually beyond reach. Securing a job by the graduates, son and daughters of common Nigerian were shocked and disappointed to say the least when we heard about it because the children of the masses were not aware of any public recruitment conducted by FIRS, NNPC, NPA NIMASA, NCC and other lucrative agencies. Having been a Buharist for a good 17 years, I examined Atiku Abubakar’s policy document which emphasises the need for a strong and effective democratic government that secures people and provides opportunities for them to realize their full potentials. In addition it plans to toughen Nigeria’s unity by promoting the spirit of co-operation and consensus especially in a society that is as complex and as heterogeneous as Nigeria and ensure the building of a strong, resilient and prosperous economy. On security, if elected, his administration plans to establish a strong and effective democratic government that secures Nigerians’ lives and properties. Enabling the business environment, the reform of public institutions to make them stronger and more supportive and facilitating, improved private sector access to credit will be prioritized, and regulatory institutions will be strengthened and their independence shielded from political interference. PPP for infrastructure, accelerate investment to double our infrastructure stock to approximately 50% of GDP by 2025 and 70% by 2030 and the power sector reform will be a critical policy priority. A stable macroeconomic environment, as well as deepen monetary and fiscal reforms to promote a stable macro-economic environment. Monetary and fiscal policies shall ensure low inflation rate, stable exchange rate and interest rates that will be supportive of businesses’ quest for credit. By 2025, if the PDP is elected into power it aims to increase the inflow of direct foreign investment to a minimum of 2.5%of our GDP, working towards achieving the lowest corporate income tax rate in Africa, strengthening the credit guarantee initiative soft Infra-Credit by substantially increasing its capital base. Reforming multiplicity of regularly discretionary, incentives for investment and simplifying the associated complex legislative and regulatory framework and ensuring that the granting of/qualification for tax incentives is automatic. On improving electricity Abubakar’s policy document designed by 2025, states that Nigeria shall make giant strides in diversifying its sources of power and delivering up to 20,000 MW. The scaling up of transportation spending, through construction and operation of infrastructure projects will create jobs, boost productivity and enhance competitiveness. Develop 5,000km of roads by 2025 through PPPs and community interventions develop and rehabilitate the connecting road networks across the geo-political zones, Encourage transportation development around the nation’s agricultural and industrial clusters, Construct up to 5,000km of modern railways through privatization, PPPs and public investments and Improve existing port efficiency and achieve accelerated development of alternative container ports especially inland dry ports. 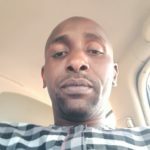 By the antecedents of all the political athletes getting set for the country race of governance in 2019, Atiku Abubakar has been the preferable choice as Nigeria’s next president for the country amongst other aspirants in view of his transactional and transformational leadership traits as well as his amazing zero tolerance for corruption. Bass sees transactional leadership as an example of the relationship between leaders and the followers. It is based on the realization that leadership doesn’t necessarily reside in the person or situation but resides in the social interaction between the leader and the follower. Rest my case with ‘Let make Nigeria work again’. 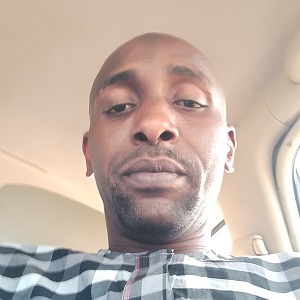 A Kano based media practitioner and public commentator for 13 years with many articles published by a number of online mediums and print media.